The days of large nuclear power plants could be numbered, especially in countries with a market-focused approach to energy. Tim Probert explores the development of small nuclear reactors, including Urenco’s efforts in the UK. This article was first published in the September 2014 issue of Materials World. The evolution of civil nuclear power in the past 60 years can be boiled down to this: small submarine reactors were repurposed to produce electricity for the grid and scaled up on an ever larger basis. From the original submarine reactors of around 50MWe, civil nuclear reactors are now commonly of a size greater than 1000MW. French vendor Areva’s EPR to be utilised at Hinkley Point C in Somerset is a 1650MWe unit. However, at £8 billion apiece, the EPR is a phenomenally expensive product. The ever larger reactors and associated safety structure and systems, some argue, are examples of diseconomies of scale – the larger the reactor, the less competitive it becomes. Led by the United States, there is now a concerted effort to explore what are called small modular reactors (SMRs) to make nuclear more competitive with other forms of power generation, such as gas and coal. Defined by the International Atomic Energy Agency (IAEA) as under 300 MWe, SMRs fall into two general categories: miniature versions of their larger brothers designed to be mass- produced and bolted together to form a large power plant; and small reactors designed to be deployed for embedded generation for industrial use. Most of the small modular reactor designs are a reversion to the initial submarine scale pressurized water reactors. Oregon-based NuScale Power, with the backing of its primary investors Fluor Corp and Rolls-Royce, is developing a 45 MWe modular reactor that can be scaled up to 12 units. The reactor modules measure 65 feet high by 9 feet in diameter and sit within a containment vessel. Each module, weighing 650 tonnes, is self-contained and in a multiple configuration operates independently, although all can be managed from a single control room. Babcock & Wilcox’s mPower is a similar SMR concept, albeit much larger. 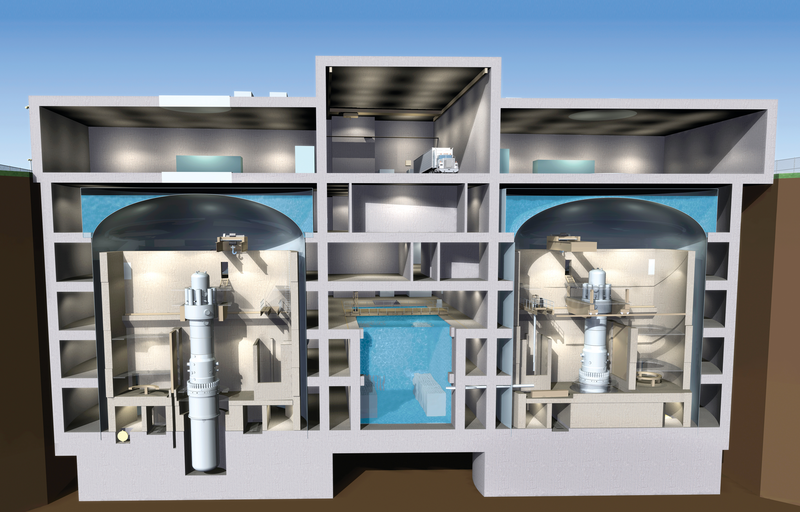 The 180MWe reactor measures 23m high by 4.5m diameter and features an integral steam generator derived from marine designs, and 69 conventional fuel assemblies. Babcock & Wilcox envisages several units would be combined into a power station of any size, most likely two to four units at a combined 360-720 MW using 250 MWe turbine generators, also shipped as complete modules. According to the World Nuclear Association, there are a further ten SMRs whose development is well advanced, all but one of which is either US, Russian, Chinese or South Korean. Could the UK join the list? Urenco, better known as a nuclear fuel company operating uranium enrichment plants, is aiming to do just that. The Stoke Poges-based firm’s CEO Helmut Engelbrecht is said to be particularly worried nuclear reactors have become too large and has committed funds to develop what is known as the ‘U-Battery’. In 2008, Urenco gave funding to two universities, the University of Manchester and the University of Delft in the Netherlands to conceptualise a design for a uranium ‘battery’, which would fit on the back of a lorry, to produce not just electricity but also heat. It is more akin to the pebble bed modular reactor, a tried, tested yet ultimately failed design developed by Siemens of Germany. The prismatic reactor core comprises thousands of micro-fuel particles, SiC ceramic-coated uranium spheres known as TRISO (tristructural-isotropic), embedded in the graphite matrix. The spheres, known as pebbles, are cooled by an inert or semi-inert gas such as helium and nitrogen. The U-Battery would make use of a secondary gas circuit to drive the turbine to produce electricity; a large industrial consumer could deploy the battery as a direct source of process heat as well as embedded power generation. High temperature gas-cooled reactors typically operate at temperatures of up to 1000oC. The University of Manchester’s School of Materials is working on new TRISO-coated particle fuels with even greater temperature resistance, and looking at understanding materials that could allow the reactor to produce even higher gas outlet temperatures that would make the heat that it produced useful for a range of industrial processes – including generating hydrogen – as well as just generating electricity. Another advantage of this reactor type is its passive safety, which Urenco claims removes the need for redundant, active safety systems. Because the reactor is designed to handle high temperatures, it can cool by natural circulation and still survive in accident scenarios, it says. It is expected refuelling will be required every five years, to refuel would require replacing fuel cartridges, which would be sent to an established spent fuel facility. Urenco is also exploring offering a twin-unit, 8MWe/20MWthermal U-Battery, which would allow for refuelling in stages. The next step is to finalise the design and build a prototype, says Paul Harding, Adviser to the CEO and U-Battery project manager. “We have a mature concept, and we’re currently working on a pathway with UK industry partners such as Atkins and Amec to build a prototype in the UK to (a) prove the concept works in reality and (b) to confirm a U-Battery could be built at the estimated cost,” he says. Ah yes, the cost. What is that? “We should be able to deliver electricity and heat probably a little bit lower current strike price for EDF’s Hinkley Point C [£92.50/MWh] for the first few U-batteries. By the time we’ve delivered eight-to-ten units, we should be to deliver electricity that has a good chance of competing with other packaged power sources. Moving from concept through the design phases to the manufacture and installation of an operational prototype will take eight years, says Harding. A full-size U-Battery prototype, therefore would not be operational until 2022 at the earliest. Unlike most other SMRs, which are designed to form part of a larger whole, Urenco characterises its SMR design as a source of microgeneration and it envisages the U-Battery to be deployed in remote locations, similar to wind farms. Although Urenco is coming to the end of its current programme for the building of centrifuges which enrich uranium for use in nuclear reactors, it does not expect to manufacture ‘U-Batteries’. The likelihood is Urenco will engage with other UK manufacturers and is in discussion with research institutions such as the Advanced Manufacturing Research Centre in Rotherham. Urenco would like to build the prototype in the UK and, despite the firm’s multinational ownership – it is joint owned by the Dutch, British governments, as well as by German utilities RWE and E.ON- Harding believes the project has the potential to be all-UK intellectual property. While the technology and components are proven, the intellectual property is in the particular assembly of the components in a U-Battery configuration. The small size and proposition for factory based modular manufacturing of a TRISO fuel-based reactor with inert gas coolant, with assembly on site is novel. In common with other SMR developers, Urenco believes there is a possibility of hosting the prototype at decommissioned Magnox reactor sites not designated for new nuclear build. Other suitable sites include Urenco’s facility in Capenhurst, Cheshire. 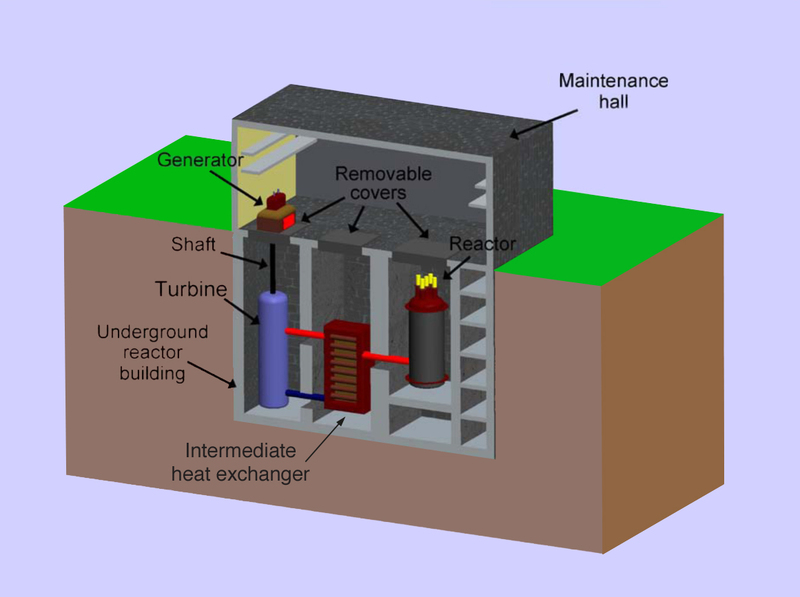 A nuclear reactor project like the U-Battery is very high risk in terms of return on investment. To lower the risk for investors, Urenco will seek for the government to provide cornerstone funding to match investment from private sources. Harding says the Technology Strategy Board (TSB) could contribute as much as £1.5 million, but this will be some way short of the £130 million Urenco’s initial assessment suggests will be required to get to the stage of having an operational prototype. Urenco’s initial application to the TSB was rejected, but Harding says it will try again to gain access to ‘Energy Catalyst’ funding; it will also seek to apply to the European Union’s €80 billion Horizon 2020 research and innovation programme. Steve Kidd, independent nuclear consultant and former Deputy Director General of the World Nuclear Association, is sceptical about SMRs and believes companies like Urenco will struggle to match government funding, as Babock & Wilcox – who announced in April it was cutting back mPower funding to about $15 million per year – found to its cost. Kidd believes the nuclear industry has come up with the wrong answer to the big question about nuclear – its high cost. “Rather than seek a business solution, they have come up with a technical solution to what’s fundamentally an economic problem, at least a problem in the Western world. Many of these ‘new’ SMR designs are actually forgotten relics from the 1950s, which were rejected for sound reasons. The industry has got to move on to Generation IV reactors”. Posted in NuclearTagged nuclear, Small Modular Reactors, U-Battery, UrencoBookmark the permalink. Nowhere in this discussion is the nuclear fuel Thorium discussed. Yet the recovery of the latent kinetic energy included in the Thorium protons, is 8 times more effective when using Thorium within the Molten Salt Reactor principle.